The Technology Landscape around Video Subtitles Standards is changing. Services like YouTube, Netflix, Hulu and Amazon are leading the way in changing the expectations around subtitles by providing subtitles on a massive scale to millions of viewers every day, and they are becoming more efficient and better at it. The need to provide subtitles seems to have shifted from merely providing a feature (more often than not provided by users such as it was with YouTube crowd sourcing efforts), to satisfying legal requirements (for instance efforts to make Netflix comply with ADA), and now to a key strategic growth component. 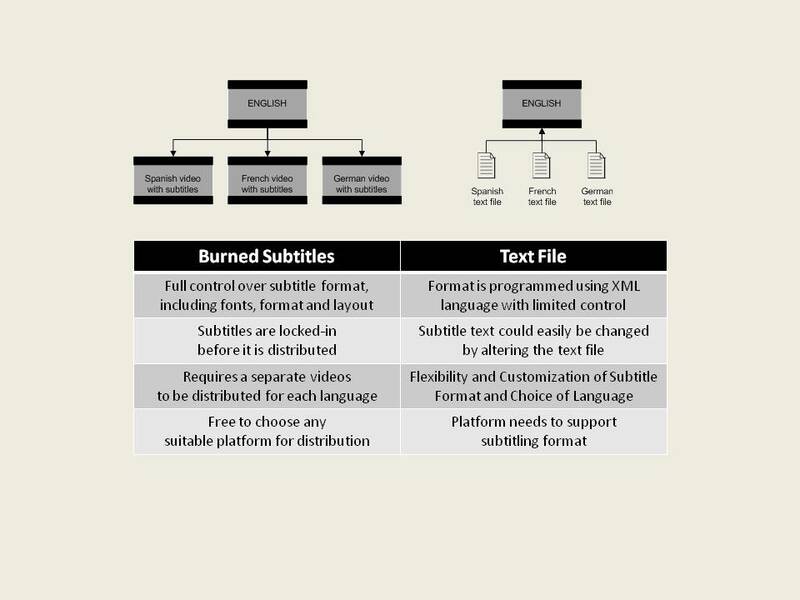 Subtitles used to be burned into film or video with high standards in subtitling format, requiring distribution of a unique video with subtitles for each market. The introduction of DVD and Blue-Ray and the need for larger distribution across many regions made it impossible to scale up without separating the video from the subtitles. Nowadays, videos can be subtitled (or dubbed) into many languages and added as an additional layer to one video that is distributed across the world. Speech-to-text recognition is something that YouTube has been experimenting with as a means to provide subtitles at a large scale without much costs. This model seems to follow the crowd sourcing model where users were responsible for providing translations of scripts provided from analyzing the audio. Subtitling follows the same trend as content creation, where content is being separated from format to provide scalability without reinventing the world. In the case of subtitling, users now have the ability to choose the format, font, color and sometimes even placement because the text is not burnt into the video. These developments can be attributed to the growing need for scalability at low price, sometimes even free, where standards are less important than the mere availability of multilingual content. We see these arguments being made with Machine Translation as well, where access is made priority over quality and quality is slowly catching up as the technology and processes get better. But we’re beyond the point thinking that this technology shift is at its infancy. Look at Netflix’ growing subtitling standards and see that they are (finally) taking subtitling and their role in accessibility very serious. This will drive subtitling standards forward in a new environment and it will be interesting to see how this development will affect other industries where video subtitling is still done the traditional way. In the Corporate and Marketing Communications world, subtitling is not a mass-production and despite higher production costs, we still produce subtitles the old fashioned way with full control over subtitle format and style. When subtitles are “burned” onto the video, we have complete control over font selection, color, format, placement and we can also format 2-line subtitles to meet readability guidelines. For many years, the choice has to either go with burned subtitles on video or going with a YouTube video text file (SRT) that has a text file displayed over it. The downside of rendering a text file over a video is that it is very difficult to control the output. Readability standards are ignored for the most part. Placement is also an issue when you want to get control over it. The idea of losing control over the brand consistency and subtitling standards and the relatively low cost savings when you compare it against the overall costs of producing the video wasn’t an attractive proposition. However, many corporations can easily serve well over 10 or 20 languages with their corporate offices around the world. Marketing firms roll out videos to different markets simultaneously with little time to wait for production schedules to open up and produce individual videos. This puts pressure on video developers to look for efficient ways to provide subtitles and distribute it across many markets. Even though subtitling standards for TV tend to differ from corporate communications, they share the same variables that affect the quality of subtitles. Read more about our case study with a marketing video subtitled for a hospital in Wales. 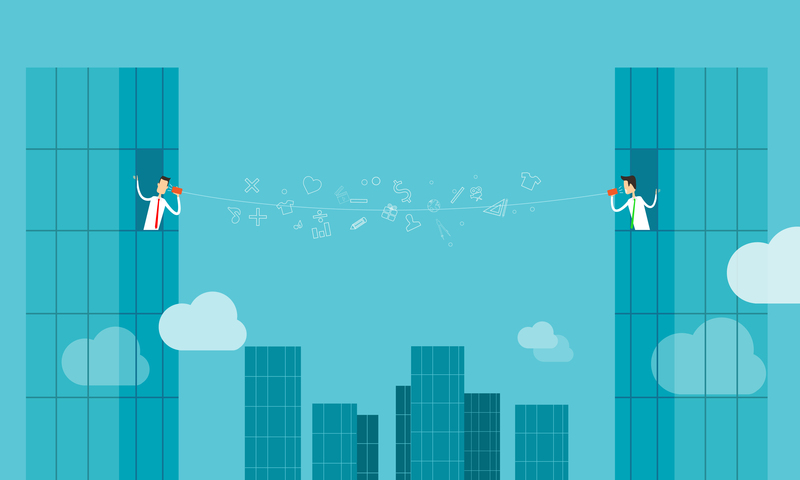 Is there an opportunity for Corporate Communications? In markets where it is not so certain what language exactly is spoken or when you serve a lot of different markets, choice of subtitles may be a benefit. As subtitling standards converge with new technological capabilities, what’s a suitable platform that will support control over subtitling format? You need programming language that can take into account and lock in formatting of subtitles, such as italics. XML supported text formats are still relatively new and require a totally different approach. You can’t be too prescriptive on font selection and subtitling formats unless you are willing to invest in a platform that supports a wide arrange of suitable fonts. Having burnt subtitles in videos ensures that text is not being taken out of context by any means. Security of messaging and format remains a threat on distributed platforms using text subtitles. When to make a decision? Subtitles projects require planning ahead. Changing course halfway through a project is never a good idea, but when it comes to subtitling, it is especially important to work out the details before you even begin setting up your timed script. When planning a video project and adding in subtitles or audio, make considerations early on and ensure that you have the proper support for distribution of text file subtitles. While it looks like production may be cheaper as you don’t pay for rendering fees of subtitles, there is no easy way to get properly formatted subtitles done in text format. It takes a more sophisticated formatting approach and a platform that meets your needs to control the look and feel of the subtitles that you want to control. That said, with global streaming services changing the way people interact with subtitles, perhaps moving away from some of that control is actually not as much of a brand risk to corporations as it may have been a few years back. Looking to subtitle or voice-over your next video project? Contact us or read more about our services here. For our infographic on video subtitling, click here.